unique hole system holds each plant securely in place and allows them to flourish! 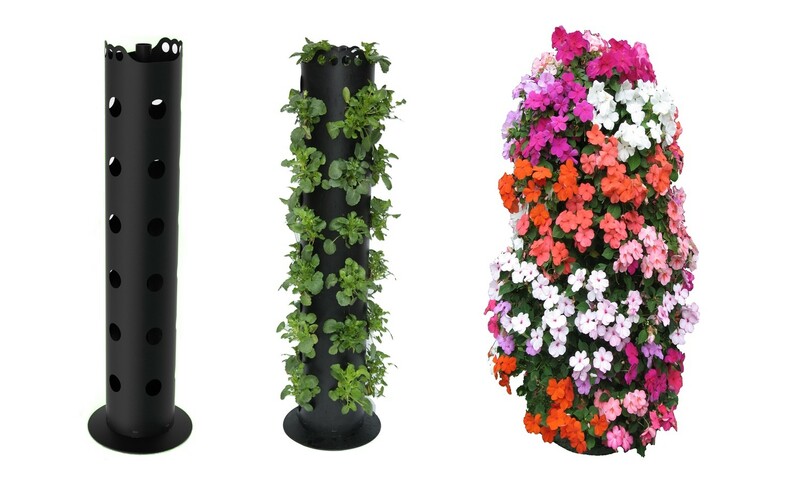 great for fruit, vegetable, flower or herb plants - also a great housewarming gift! Note :- Vertical tower does not include any flowers.